The Beautiful Bones Slot by Microgaming is one of the stand out game releases for the summer of 2017. The Mexican Day of the Dead is fertile creative ground for slots studios – think Esqueleto Explosive from Thunderkick Games. The imagery is always striking and the painted skulls seem to make great symbols! 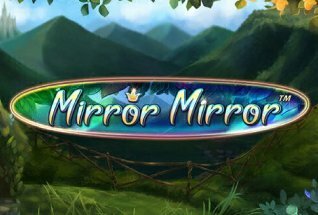 But it’s not just the images that will blow your mind in this video slot from Microgaming. There are held wilds with re-spins, up to 30 free spins with a 5x multiplier in the bonus round, and the chance to win up to 1,000x your stake. The game comes in with a 96.4% RTP (Return to Player), 5 reels and 243 paylines, and registers a medium volatility, so payouts are smooth enough, and pretty decent once you get through to the Free Spins rounds. 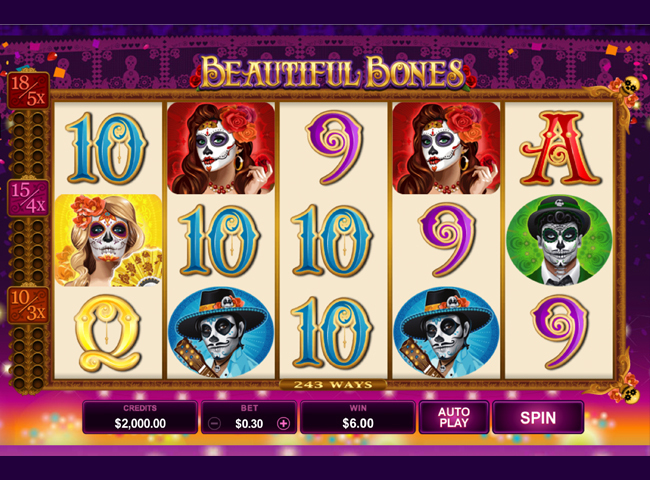 Like all Mircogaming slots games, Beautiful Bones is available to play across all devices and operating systems. You can play right now at one of our favourite casinos, Casumo Casino, or try another of our recommended partner sites. Or, just read on for more information about this beautiful game. Beautiful Bones has some incredibly striking imagery and really picks out the pinks, purples, oranges and golds of the traditional Mexcian holiday that celebrates friends and family who have passed on every year. The game has a very traditional layout of 5 reels and rows, and some pretty cool symbols – the 9 through to Ace are the low value symbols, and the higher value symbols are faces in painted masks, with the lady with red roses in her hair representing the most valuable symbol. There is also a Wild Heart symbol that substitutes for any other on the reels, and a striking pink skull – the Sugar skull – that represents the scatter … more on that in a moment. The game configuration allows you to play from 30p right up to £30 per spin using the bet button at the bottom of the screen and the coin configuration under settings. Also in the setting panel you can switch the Mexican guitar music on or off, and turn Quick Spin on or off to set the game to the speed you require. So on to the juicy stuff – the bonus features – of which there are two. 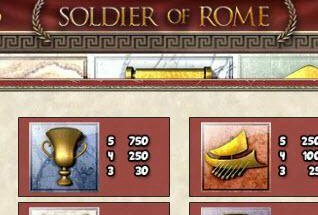 Wild Spin Again: In any winning combination of 3 of a kind, the winning symbol will automatically become a wild and a re-spin will ensue, with opportunities to increase you win value. 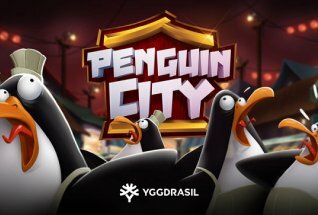 Free Spins: This is where the game gets interesting. Instead of the usual scatter symbols required to set off a free spins round, here you must collect 10 or more of the Sugar Skull scatter symbols. The skulls are added to the Sugar Skull meter with each spin. As always, a Mexican Day of The Dead-themed slot has delivered brilliantly in terms of visuals – great illustrations and design. With 243 paylines the base game has some nice regular payouts, but the real fun comes if you can gather enough of those crazy looking Sugar Skull Scatter symbols. At that point, Beatiful Bones slot could really really make your day.